The author is one of the most prominent economists in Russia. He calls for a thorough change of personnel at two of the country's most important universities - the Higher School of Economics, and the Moscow State University School of Journalism. This article originally appeared at the Russian magazine Kultura. It was translated by Kristina Rus at the Fort Rus website. The other day there was an article online about the scandal with admissions to the school of journalism at Moscow State University. Grades are lowered, it is practically impossible to get a fair resolution, but the main bombshell is - applicants are tested for political loyalty. And the examiners consider trustworthy not the supporters of the current political course, but the opposite — those who adhere to explicitly oppositional views. Personally, having once attended a School of Young Journalist at the MGU school of journalism, it was a shock to learn that it has become a pipeline for instilling hostility towards Russia under the guise of "journalistic professionalism". While great people are teaching there, who genuinely suffer from the destruction of education during the liberal reforms and from the need to teach students the high school curricula during the first year. I think the root of the problem in the understanding of journalistic professionalism as the a priori hostility to the government. Many of my colleagues drew attention to the fact that the MGU school of journalism, as in many other places (especially the Higher School of Economics, where the notorious Albats used to be a professor), students have been persistently hammered into their heads: if you want to be journalists, you must be in opposition. If a student suddenly notices something good done by the current government, you hear a wild outcry: "get out of the profession." And they talk about "government" in general, but in fact refer specifically to the Russian government. The well-known American maxim that "everyone is entitled to their own opinion but nobody is entitled to their own facts" is completely shattered. For the sake of nurturing hatred to your own state and native country the students are taught to deny reality and to create "their own facts". Thus, the journalists, tomorrow's masters of public opinion, from the start are turned into enemies of not a particular state with all of its vices, but the Russian statehood as such. Such education once again reveals the focus of the liberal clan on a systematic destruction of Russia. Because hostility of a critically important part of the youth towards the foundation of the existence of Russian society, which is the state, simply deprives our country of the future. The position of the liberals is based on the position of global business, which they serve. And which bet on the destruction of Russia for the sake of reducing expenses, on its demolition according to the Libya model, in order to negotiate about the access to oil not with the government and not with a state company, but with a scared mayor of an oil town, hoping for permanent residence in the United States. I believe a drastic rehabilitation of all public universities is imperative, particularly those associated with the formation of mass consciousness. 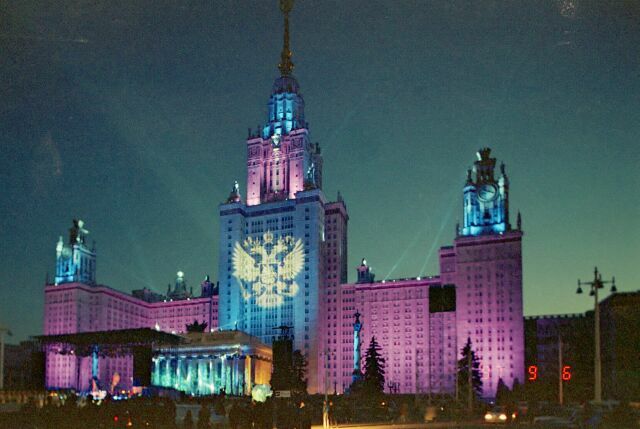 Such a rehabilitation should, in my opinion, begin with the schools of journalism of Moscow State University and the Higher School of Economics.